Nebraska coach Bo Pelini left Saturday's game against Arkansas State by ambulance after falling ill on the sideline in the first half. A member of the Nebraska medical staff was seen checking Pelini's pulse in the first half, but he continued on the sideline until halftime. 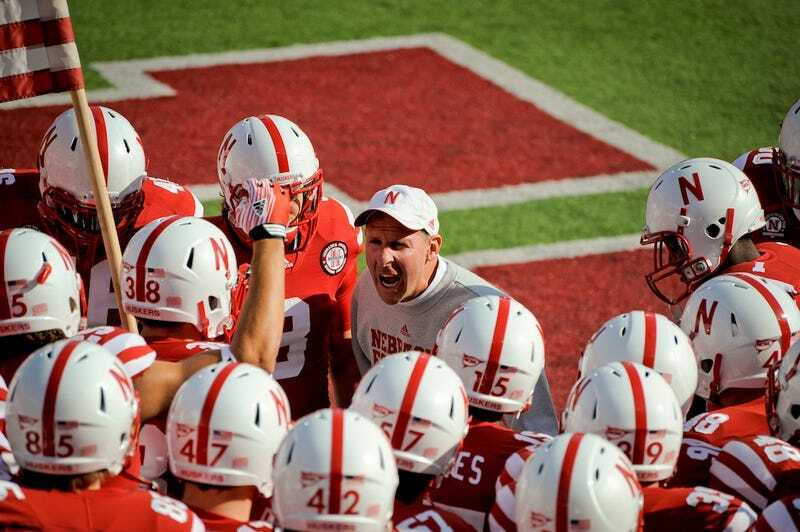 Pelini didn't come out with the team for the third quarter. We'll update with any new information on the coach's condition as it comes in. UPDATE: ESPN's college football account says it's flu-like symptoms, which is probably good news. UPDATE, 3:16: Pelini apparently left on a stretcher, but that could be standard procedure for patients being transported by ambulance. Nebraska won the game 42-13.